Consistently Consistent: What supplements do you use? A lot of people have been asking me what supplements I take for performace and for wellness. Below is a list of what I take and please know I'm not telling that you should take the products I list; I'm merely giving you what I take and why I take these supplements. Yes I sell USANA and Advocare because I do believe in their products and they do work for me. 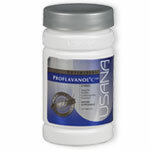 I have to passionately say that taking USANA product for my wellness is the best decision I've made this year. Let me provide some information about the two products I take. Proflavanol C100: has a powerful antioxidant which is taken from grape seed extract and it becomes a very powerful supplement when vitamin C is added to bioflavoniods. This help maintain the health of the immune and cardiovascular systems, as well as having a youthful-looking skin. Plus it taste like grape. Yum. I take HealthPak because it provides a full daily does of Mega Antioxidant and Chelated Mineral as well as Active Calcium and for added antioxidant protection called AO Booster. 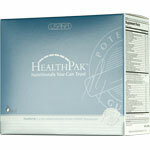 When I started taking Proflavanol and the HealthPak together I immediately notice a difference in my energy. 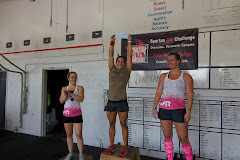 When I perform in my coach's training I could feel a difference in my cardiovascular endurance and muscle endurance. I was convinced that I was doing something right.. So, basically I am taking both products for my wellness which is helping my performance. There are other items I'm looking into taking for my health through USANA. I absolutely stand by USANA because of it's purity and potency is nothing like any other brand. If you are interested in any of the products from USANA; let me know and I'll be happy to assist you. 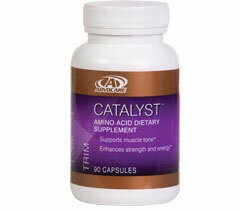 I take Catalyst for BCAA: This is an Amino Acid supplement. What does this mean: Helps maintain muscle mass during exercise and weight management. Aids in preserving muscle and energy levels during times of calorie restriction. It helps repair and protect muscle tissue. 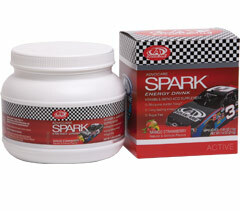 It works well with AdvoCare Spark Energy Drink (which comes in many yummy flavors). I also take Muscle Strength which helps decrease recovery time between intense workouts and it promotes building lean muscle mass and reducing fat tissue. 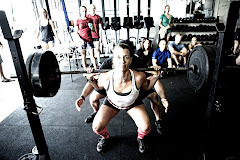 Muscle strength enhances muscle growth along with strength training. It encourages repair of muscle tissues and helps the body adapt to physical and mental stress. Night time recovery (I love this stuff)! It provides enhanced muscle growth and supports muscle repair while you sleep. It helps your body to more effectively respond to the demads of physical activity. Night Time Recovery naturally supports the production of growth-related hormones and enhances energy production to help the body sustain higher workloads before the onset of fatigue. I also take AmaZing Grass Green SuperFood to help with me make sure I'm taking in enough green without having to eat so much veggies. I take emergen-C for my immune system. When going through intense workouts; it is likely to burn/use all the nutrients; emergen-C is a quick way to replenish the nurtients. I look at all this as my health insurance and thankfully it is working for me. Again, if you want to know more about any of these products or if you are interested in purchasing any of these products; let me know and I'll be happy to help. I hope this helps those who were curious about what I take to help me stay healthy and strong.